So you’re thinking about using shipping containers for your next building project, but will you be able to get those containers up to code? Get answers and learn how the evolving code landscape should impact your business decisions. Building code is notoriously difficult to decipher, but thanks to work led by the MBI’s Container Task Force, an end to the confusion is in sight. Stephen Shang, co-chair of the task force and CEO of Falcon Structures, shares the progress being made in the container structure coding landscape and a glimpse into the future in this webinar. Success factors in container-based building. Basic safety guidelines for modifying shipping containers. The journey to integrating new materials into the International Building Code (IBC). How to work with the shipping container acceptance criteria (AC462). Shipping container code compliance through Alternative Means & Methods (104.11 of IBC). Case studies of state governments streamlining their modular building code. Stephen Shang is the CEO and co-founder of Falcon Structures, a leading manufacturer of repurposed steel shipping containers. 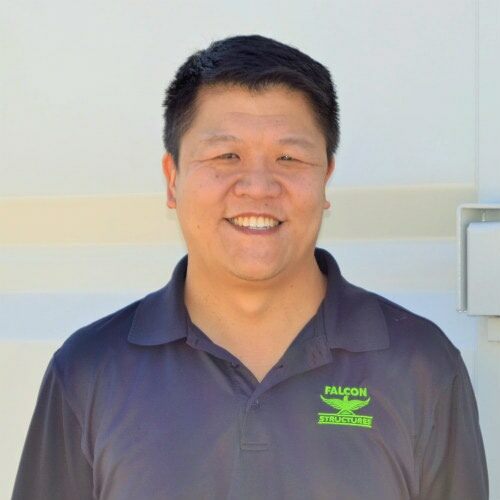 Shang has grown Falcon from a small shipping container rental business to a manufacturing facility that produces containerized solutions for work space, living space, storage, equipment enclosures, and more. As co-chair of the Modular Building Institute’s Container Task Force, he leads the charge to integrate containers into the coding landscape and create a faster, safer, and more innovative future for building.